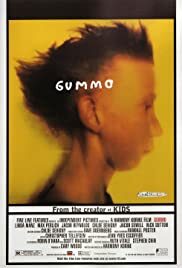 Q: Is Gummo based on a true story? I spent a small part of my childhood not too far away from Xenia, Ohio and a large part of it in the South. I can't say I ever found myself in such a screwed up place as this one, but I know one thing -- if I did I would certainly want to go back and document it! Then I'd be perfectly happy if another tornado came by and leveled the whole place. That spaghetti scene and "I want a moustache dammit!" were worth the price of admission. I do have one suggestion, however -- it either should have been more contemporary or more distant. At first it wasn't clear if the action was taking place shortly after the tornado or long after it. But when the albino woman mentioned Pamela Anderson, that nailed down a time period for me. It would have been more effective as a period piece (sometime in the 70s) where the audience looks back on a really messed up town; or it could have been filled with more contemporary references which places a really messed up town not too far away from where you and I live.